Powerofsearches.com is the PUP that uses misleading techniques to prevent removal. Use Reimage to locate malicious components and get rid of them faster than with uninstall instructions. A full system scan blocks virus reappearance and prevents traffic to malicious domains. Powerofsearches.com is a search engine closely related to Trovi virus. In fact, it is developed by the same developers known as ClientConnect, Ltd. Both of the suspicious search tools are actively promoted via software bundles that suggest installing Power Of Search software. Power Of Search software is a browser hijacker that compromises web browsers and sets hxxp://Powerofsearches.com/ as a new homepage and search provider. This search site suggests to “Search The Web Your Way” and introduce you to “enhanced online search experience” although it hardly can happen. Technical information that includes user’s IP address, software installed on a computer, language and time zone. Usage information that covers user’s browsing history, applications used, ads viewed and clicked, search queries and time/date they were performed. User’s interactions on social networks through the Power Of Searches software & services. Registration related information such as name, telephone, email address, birth date and gender. Support related information such as email address, name and other information voluntarily submitted by the user in connection with ClientConnect, Ltd support. 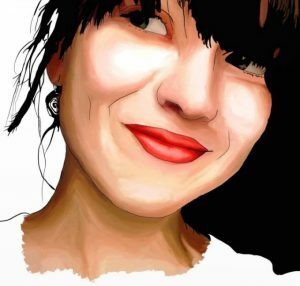 Using collected data, the company starts creating “first and third party contextual and personalized content on first and third party websites and applications across user’s devices.” In other words, you are going to receive interest-based ads in the form of search results and likely as pop-ups or banners. 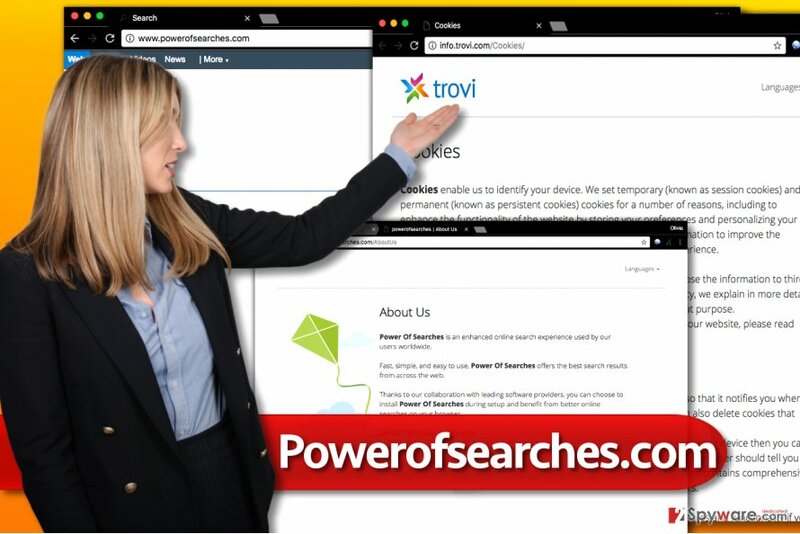 Powerofsearches.com is a shady search website that is closely connected to Trovi virus. It was developed by the same developer - ClientConnect Ltd. These ads link to external sites that are not controlled by ClientConnect, Ltd. Unfortunately, the company doesn’t review or endorse these websites, which means that it doesn’t check whether they are trustworthy. In other words, by interacting with these search results, you put your privacy and security at risk. Keep in mind that your interaction with third-party ads generates revenue for the developers of Powerofsearches.com redirect virus, but hardly benefits in you in any way. To change your default search provider and homepage, you must remove Powerofsearches.com virus first. It is highly recommended that you follow instructions we added to this post and delete the hijacker immediately. If for some reason you cannot uninstall this hijacker, we strongly suggest using anti-malware software. For a complete Powerofsearches.com removal, we highly recommend using Reimage or Plumbytes Anti-MalwareMalwarebytes Malwarebytes software. Both of these programs can delete browser hijackers, adware, and other forms of spyware/malware from your system. Using one of them will take the burden off your shoulders, and you won’t need to worry about your computer’s security anymore. When installing software, make sure you refuse to install SearchProtect. It is closely related to Trovi and other browser hijackers. To prevent its installation, you have to go for Custom or Advanced software installation option and deselect statements that confirm your choice to add suggested additional programs. Default and Standard software installation options are the wrong and untrustworthy ones. Usually, they include statements that say you agree to the installation of additional programs and/or browser extensions. We also warn you to be careful and avoid visiting suspicious Internet sites that suggest adding particular programs to “improve your search experience.” In most cases, such programs improve nothing and create additional programs instead. Statistics show that Trovi-related browser hijackers mostly attack German computer users. If you are one of them, we suggest visiting DieViren.de website that provides virus removal guides and removal tutorials in you native language. Remove Powerofsearches.com virus as soon as you can because this program won’t stop bothering you daily. It is a very stubborn browser hijacker that typically refuses to go away that easily. We want to point out that its removal requires uninstalling questionable programs, deleting unknown browser extensions and also purifying browser shortcuts. If you are uncertain whether you can cope with the problem on your own, let anti-spyware software help you. Just install it according to directions and run a full system scan. Then sit back and relax until it finds all potentially unwanted files and programs on your system. 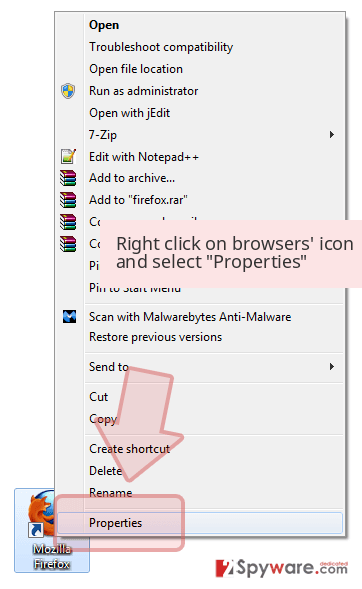 Remove Power Of Searches, SearchProtect, Search Conduit, Trovi and all other programs developed by ClientConnect, Ltd. Then clean browser shortcuts – right-click on them, go to Shortcuts tab and remove suspicious URLs from the Target field. Here, look for Powerofsearches.com or any other recently installed suspicious programs. Wait until you see Applications folder and look for Powerofsearches.com or any other suspicious programs on it. Now right click on every of such entries and select Move to Trash. 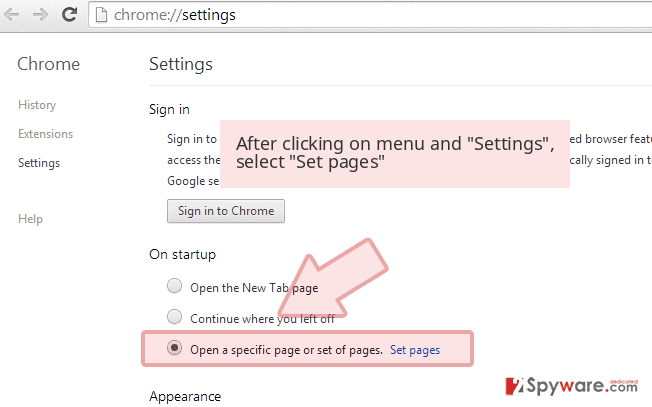 When in the new window, check Delete personal settings and select Reset again to complete Powerofsearches.com removal. Once these steps are finished, Powerofsearches.com should be removed from your Microsoft Edge browser. 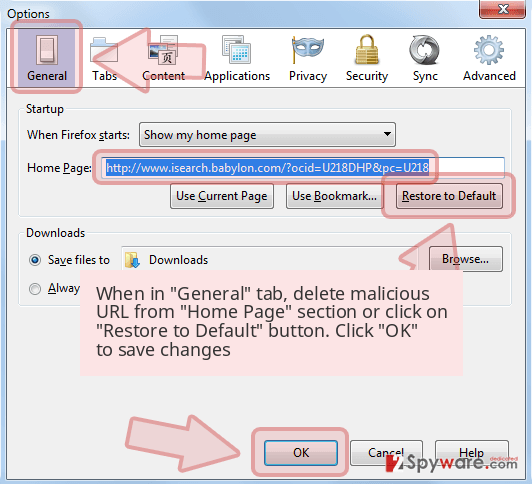 Enter Firefox's Add-ons panel to uninstall Power Of Searches virus. 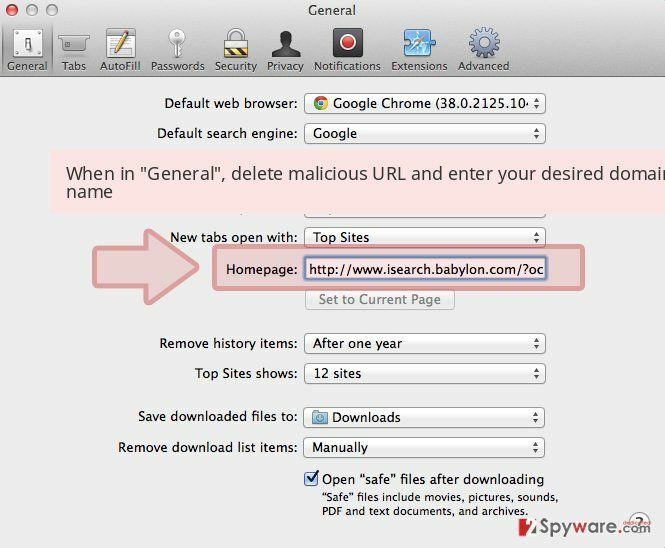 Here, find and delete shady extensions such as SearchProtect, Conduit, Trovi, and similar ones. Here, select Powerofsearches.com and other questionable plugins. Click Remove to delete these entries. Now you will see Reset Firefox to its default state message with Reset Firefox button. Click this button for several times and complete Powerofsearches.com removal. Delete every extension related to PowerOfSearches.com redirect virus. Get rid of all SearchProtect, Trovi, Search Conduit, Power Of Searches and similar extensions. Here, select Powerofsearches.com and other malicious plugins and select trash icon to delete these entries. Click Reset to confirm this action and complete Powerofsearches.com removal. 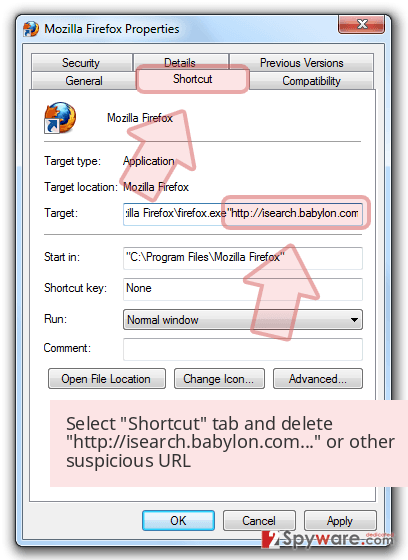 Here, select Extensions and look for Powerofsearches.com or other suspicious entries. Click on the Uninstall button to get rid each of them. Here, look at the Homepage field. If it was altered by Powerofsearches.com, remove unwanted link and enter the one that you want to use for your searches. Remember to include the "http://" before typing in the address of the page. Now you will see a detailed dialog window filled with reset options. All of those options are usually checked, but you can specify which of them you want to reset. 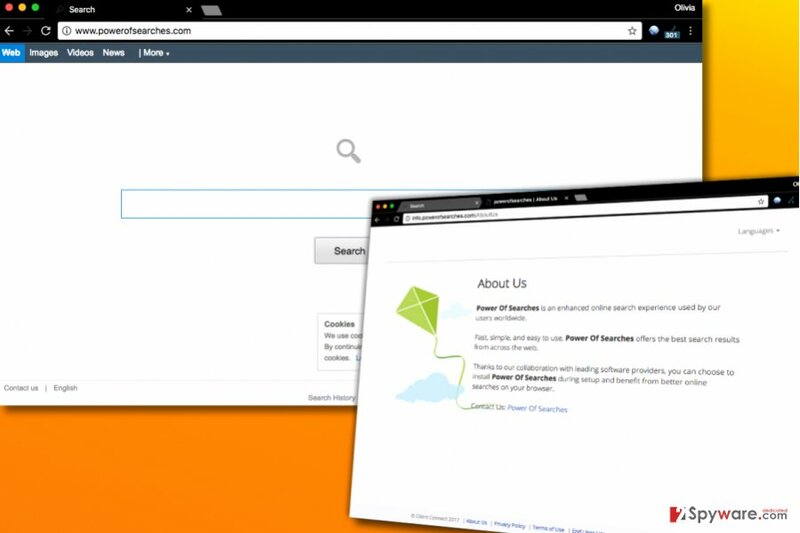 Click the Reset button to complete Powerofsearches.com removal process. ^ Ken Dwight. Bug-Free Computing: Stop Viruses, Squash Worms, and Smash Trojan Horses. Google Books. The World's Most Comprehensive Index of Full-Text Books. ^ DieViren. DieViren. Virus Removal Tutorials, IT Security Tips. This entry was posted on 2017-07-18 at 06:42 and is filed under Stealing programs, Viruses. You can quickly scan the QR code with your mobile device and have Powerofsearches.com virus manual removal instructions right in your pocket. How did you remove Powerofsearches.com virus?